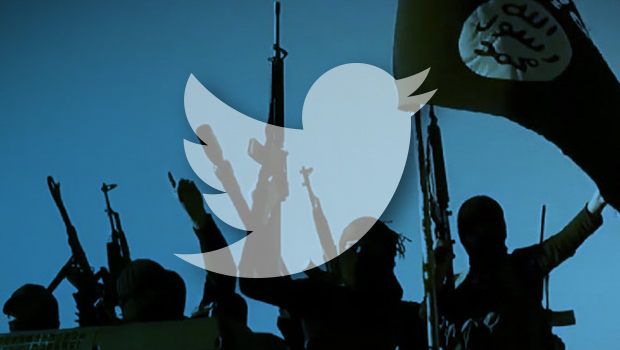 Twitter announced on Friday afternoon that it has suspended at least 125,000 accounts that are related to the Islamic State in Iraq and Syria (ISIS) since mid-2015. They were suspended, the social media network said, after threatening or promoting terrorist acts related to ISIS. "Like most people around the world, we are horrified by the atrocities perpetrated by extremist groups. We condemn the use of Twitter to promote terrorism and the Twitter Rules make it clear that this type of behavior, or any violent threat, is not permitted on our service," the network said in a blog post on Friday. This disclosure is significant as it marks the first time that Twitter has made these suspensions public and appears to be a response to pressure from the White House as well as the French, Australian and British governments. It is also the most prominent and significant action by a technology firm since Obama administration cabinet officials flew across the country last month to ask Silicon Valley for help. "As the President has said, countering the vile ideology of ISIL and similar groups in the digital sphere is a priority for both government and the private sector," a senior Obama administration official told CBS News. "The Administration is committed to taking every action possible to confront and interdict terrorist activities wherever they may occur, including in cyberspace, and we welcome constructive steps from our private sector partners." Twitter said it has expanded the size of their teams that actively search for these types of accounts by applying spam-fighting algorithms. The social media network has said there is no "magic algorithm" for identifying terrorist content. It made the announcement on its policy account. The terrorist group has largely relied on social media, especially Twitter, to spread its propaganda and recruit Westerners. A report from Brookings last year delved into ISIS's presence on Twitter and found that there are as many as 90,000 accounts supporting the group worldwide.. Nearly one in five ISIS supporters used English as their primary language, the report said. Twitter says it has witnessed terrorists moving off of Twitter, which could mean they're going to less transparent platforms. The Brookings report pointed out that this could be potentially dangerous. "The process of suspensions does create certain new risks. Most importantly, while suspensions appear to have created obstacles to supporters joining ISIS's social network, they also isolate ISIS supporters online," the report said. Last month, the White House dispatched top national security officials to Silicon Valley to ask for the tech industry's help in disrupting terrorist activity on the Internet. The officials who attended the meeting in San Jose, California included Attorney General Loretta Lynch, FBI Director James Comey and Director of National Intelligence James Clapper, among others. In his address to the nation following the Dec. 2 San Bernardino attack, President Obama called for the private sector and government to work together to combat terrorism and counter violent extremism online.